Three delicious pies are up for grabs to AML fans from The Classic Diner including a delicious lemon meringue. OH YUM TO THE TUM! It is a highly anticipated, annual fall holiday tradition with Malvern’s beloved The Classic Diner and AroundMainLine.com. Now, for the first time this spring (drum roll!) Pie Palooza is debuting! We know this holiday week is kinda CRAZY so TCD and AML have paired up to celebrate the diner’s popular, seasonal pies with this fun giveaway. The Classic Diner’s popular pies are now available for the holiday weekend to order (lemon meringue, apple pie and carrot cake) and are a great way to take the hassle out of your cooking, surprise a hostess or just treat your family to a very decadent and delicious dessert! Three very lucky fans will win the choice of a gourmet lemon meringue, apple pie or carrot cake. To enter for a chance to win, place a comment below starting today through Wednesday, March 27th at noon. With your comment, be sure to tell us what kind of pie you would like to win! ONE winner will be drawn, for each type of pie, on Wednesday, March 27th and contacted that day via email by 5pm. Winners will have 24 hours to respond to the email to claim their pie and their names will be given to The Classic Diner. Pies must be picked up no later than 2pm, Sunday, March 31st (Easter Sunday). Leave us a comment below by noon Wednesday, March 27th, 2013. Three winners will be drawn randomly to win the pie of their choice (one lemon meringue, one apple and one carrot cake) with the help of random.org! We love The Classic Diner! Winning a pie for Easter would be awesome! Lemon Meringue please! Cream cheese icing…Fresh carrot…Keep the jellybeans, make mine a Carrot Cake! The Classic Diner is so delicious! The Mile High Apple Pie is amazing! By far the best apple pie I have ever tasted in my life. The Lobster Bene is to die for too! Pies from The Classic Diner are THEE BEST!!! Favorite breakfast spot in PA! Delicious!! Carrot cake sounds too yummy! I love Classic Diner pies! The apple is delicious, but I want to try the Lemon Meringue. I would love a pie for Easter weekend!!!!! Who doesn’t love a delish pie around this time of year. I would love it if I won this so I can donate the pie to my little buddy Weston Keeton and his family that have been living her for the last 21 months (from TN) while he awaits a heart and double lung transplant at CHOP. It would make their families Easter :). To read more about Weston go to http://www.cotaforwestonk.com. I hope I win for them! Thanks! I would love to win a holiday cake or pie. We love everything that the Classic Diner has to offer, especially the pie! Ooh, make mine apple please! Happy holidays! I would just LOVE to win a Classic Diner pie for Easter! Love the Classic Diner. Any of these would be perfect for Easter! 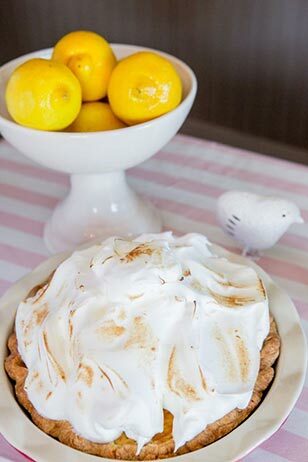 I would love a Classic Diner Lemon Meringue pie for Easter. Yum! mhmmm love me some pie! I love the Classic Diner! I would love to win a carrot cake for Easter! It would be awesome to bring a delicious pie to Easter dinner! Would love to win as it would help in easter preparation. Lemon meringue would be my choice. Thanks! MMM apple pie would be awesome! Would love an Apple Pie. Always enjoyed the Classic Diner. I would love a pie! My hubby would LOVE his favorite lemon meringue!!! Apple pie would be a great addition to my Holiday Dinner!!!! I would love to win an apple pie!! Pies are special in their own way. I would love to win one for Easter Day. Absolute best breakfast and lunch joint on the Mainline! Delicious bakery and takeout too! Oooooh, I would love a lemon meringue! Thanks for the shot! LOVE the Classic Diner–MMMM Pie!